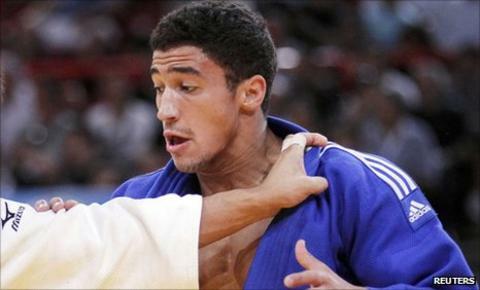 Ashley McKenzie was the only British medallist on the first day of the Judo GB World Cup on Saturday. The 21-year-old from London, who won the European Under-23 title last year, beat Slovakian Matjaz Trbovc in the under-60kg final in Liverpool. "I feel really positive, everything I do is towards the Olympic Games, I got gold and that's all I can ask of myself," he said. "It's my first GB World Cup medal and it's great to get a big win at home." Cornwall's Lewis Keeble was beaten by Jasper Lefevere of Belgium in the -73kg bronze medal match, while Scotland's James Millar bowed out in the first round of the -60kg category. Saturday's other gold medallists were France's David Larose (-66kg) and American Nicholas Delpopolo (-73kg). It is Britain's first big event since a poor performance at August's World Championships, at which Britain failed to win a medal. prompted a shake-up in the coaching staff as three senior coaches departed and Romanian Daniel Lascau was brought in as performance director.